I am 30 weeks pregnant today, but for fun, I found some old pictures of me from when I was pregnant with my son. I have a few more for the rest of the summer, so I will be doing a few comparison pictures between now and the birth. This was taken at roughly 26 weeks. 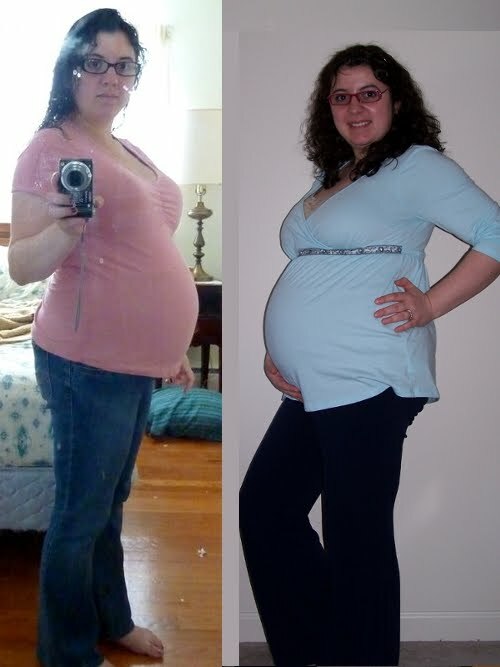 My current pregnancy with our daughter is on the left (I'm in pink) and my pregnancy with our son (3 years ago, in blue) is on the right. It doesn't look too much different at this point. I have another picture coming in a week or two. I think that will show more of a difference in the pregnancies.